Mixed feelings is what I felt when visiting the photographic exhibition prepared by 27 year old South African photographer Damien Schumann, during the AIDS 2008 conference. 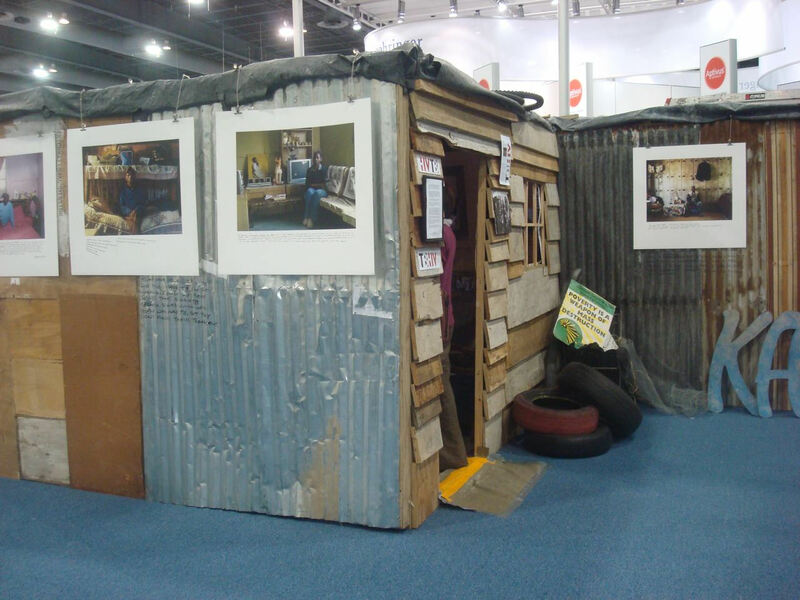 He displayed an authentic South African township shack, presenting (beautiful and sad) pictures of people and families affected by tuberculosis (TB) and HIV, their stories and the lifestyle and living conditions that influence these diseases. The exhibition initially focused on TB. “I was intrigued with the fact that TB is a disease that can be cured, but still the prevalence is high, so I wanted to hear the opinions, views and challenges from the point of view of those who are infected by it”, Schumann told me. The pictures were taken in South Africa and Zambia over six months. Schumann also asked the people to handwrite their views on the diseases in their mother language, which also form part of the exhibition. “However, when the pictures were ready I realised that they didn’t express the real context, so I built the environment of a real shack for trapping the audience”, he said. The shack was originally built for to coincide with the 2006 World TB day. The version displayed at the AIDS 2008 conference is supported by the WHO. This entry was posted on Thursday, August 7th, 2008 at 1:55 pm and is filed under 2008 International AIDS Conference. You can follow any responses to this entry through the RSS 2.0 feed. You can leave a response, or trackback from your own site. Damien Schumann’s work is inspiring and very important for the world in order to get to have a closer view of what’s happening on the other side of the world, where TB, though curable, is still killing many people all over Africa and Asia. tuberculosis test .